You are here: Home / Obituaries / James R. Gast, Jr.
James R. Gast, Jr., 67, of Quarryville, died Wednesday, August 18, 2010 at Hospice of Lancaster County. He was the husband of the late Pamela Miller Gast who died in 2004. Born in Lancaster, he was the son of the late James R., Sr. and Anna Sherts Gast. Mr. Gast was a truck salesman for many years and was last employed by Jones Pontiac GMC. He was a 1960 graduate of J. P. McCaskey High School. He enjoyed playing guitar in the Little Duck and the Drakes band, fishing in Canada and spending time at the Chesapeake Bay. Surviving are three sons, James R. Gast III of Florida, Brian husband of Michelle Gast of Quarryville, and Kevin Gast of Lancaster; two daughters, Sherry wife of Tim Henry of Quarryville, and Tina wife of Jim Hornberger of Ephrata; nine grandchildren; a sister, Julia wife of Ronald Drey of Lancaster; and a brother Bob husband of Barb Gast of Lancaster. He was preceded in death by a sister Ethel Speros. A Memorial Service will be held on Saturday, August 21, at 2:00 P.M. at the Kearney A. Snyder Funeral Home, 141 E. Orange St., Lancaster, PA. Friends may call at the funeral home on Saturday from 1:00 P.M. until the time of the service. In lieu of flowers, contributions in his memory may be made to Hospice of Lancaster County, 685 Good Drive, P.O. Box 4125, Lancaster, PA 17604-4125. 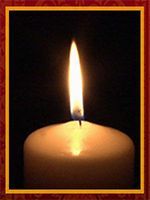 Offer Condolence for the family of James R. Gast, Jr.